2015 is shaping up to be another record-breaking year in the Manhattan and Brooklyn new development market. 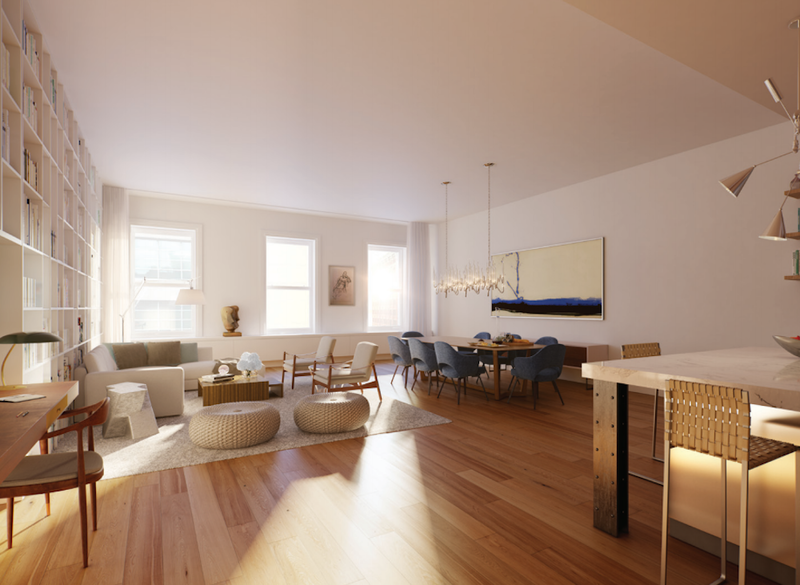 In Manhattan, 52 percent of active new development listings are priced at more than $5 million, with an average price per square foot of $2,757, according to a new report by Halstead Property Development Marketing. The first quarterly New Development Market Report tracks only projects new to the market and currently selling sponsor units; buildings that have fully sold out of sponsor units are not included, even if they are recently built. The median price per square foot for active listings in Manhattan (compiled as of December 23rd) is $2,532, which is 24.4 percent higher than the median of $2,035 for signed contracts in 2014. Downtown Manhattan saw the most new development activity last year, with more than 1,150 units closed or in contract. The “Billionaire’s Row” of West 57th Street posted the largest quarter-over-quarter gain in average price per square feet, with $5,398 in Q4, up 35.5 percent from $3,984 in Q3. The second strongest neighborhood in price gains was Harlem, with a 17.35 percent quarter-over-quarter increase to $1,095 per square foot in the last quarter. In Brooklyn, more than 60 percent of active listings are priced less than $2 million, with an average price per square foot of $1,326. The borough had a total of approximately 220 contracts signed and closed units in 2014, about 10.5 percent of the transaction volume in Manhattan. Unit mix trends among new developments varied in the two boroughs; last year, two-bedrooms were the most popular unit type in signed and closed contracts in Manhattan, while one-bedrooms were predominant in Brooklyn.